LAS VEGAS, NV – April 4, 2018 – Mediarex Group today announced that Eric Danis has been named President of the Global Poker Index (GPI), live Poker’s leading ranking authority, and the Hendon Mob Poker Database (THM), the largest live poker database in the world. In this new role, Danis will oversee the operational management of both entities, as well as leading other projects, including the GPI Poker Awards. Danis, an eight-year veteran of the poker industry, has served as Head of Poker Content at GPI/THM since 2013. 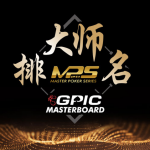 A key figure in many of the company’s projects, including the Global Poker Masters and the Global Poker League, Danis has played an invaluable role in expanding the GPI’s poker ranking to include national titles. This year, he led the organisation of the American Poker Awards, having played a vital role in its event management since inception. “I’m really excited to start a new chapter in my poker career, continuing to work on exciting projects with an amazing team. Our vision will continue to focus on being the reference for live tournament poker while providing entertainment to all poker fans,” said Danis. Danis will continue to work from Las Vegas, overseeing teams in Amsterdam, London and Malta. The Global Poker Index (GPI) is live Poker’s leasing ranking authority – classifying more than 500,000 active players from almost 100 countries across 200,000 events. GPI’s Hendon Mob Database has archived over 350,000 live poker tournaments and over 2.3 million individual results, and is continually updated via real-time data collection from over 1,440 partner venues. GPI’s mission – to ‘sportify poker’- is driven from a focus on platform, media and event innovations within the Poker world. GPI runs an array of industry-wide Poker initiatives including the American Poker Awards & Conference, the European Poker Awards & Conference, and the Global Poker Masters. The Global Poker Index and The Hendon Mob are trading names of Mediarex Group, a global sports and entertainment organisation, founded in Malta in 2012. Global Poker Index, Global Poker League, ‘We Sportify Poker’, and ‘The Cube’, are registered trademarks of Mediarex Group in the U.S. and other territories.